So – you want to learn guitar. Awesome! But where do you start? 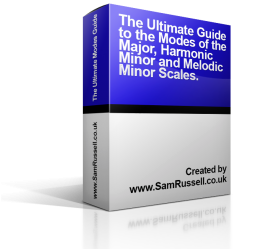 Being a beginner on guitar, it can be difficult to know what your options are. In this article we look at the different options you have. As a beginner, learning guitar with a local teacher can be a good option. There are nearby, you may get to meet other local guitar players and you get in person, face to face help with your playing. However, a major downside to this, is that you are limited with who you can choose from. There may be no-one nearby, or, the teachers you can choose from might not be very good. Local teachers are notorious for being a mixed bag, and it’s likely you will find teachers right across the spectrum. There are bound to be one or two good teachers, and a lot of mediocre teachers. Likely, you will have to do some sifting to find a good guitar teacher. Do they ask you questions about you… or do they talk about themselves? Are they playing, or are you playing? Did they help you learn something in 10-15 minutes? In general, a low quality guitar teacher will make the lesson about themselves, they will be impatient and sometimes even rude. A good quality guitar teacher is going to take the time to find out about you… and help you. Another option is to be a self-taught guitarist. This is probably what the majority of people do. Now, it is possible to be a self taught player and play well. But, from my years of teaching, I have found that self taught players tend to be able to do one or two things very well… and have huge holes in their knowledge and skills. For example, I have seen players that could play a lot of great metal riffs, and play them really well, but they could not improvise and did not have a grasp on the most basic elements of music theory. Now, if you just want to play songs… then this may be a path that works for you. But if you want to have a more well rounded knowledge and ability with the instrument, getting lessons may be a better option. 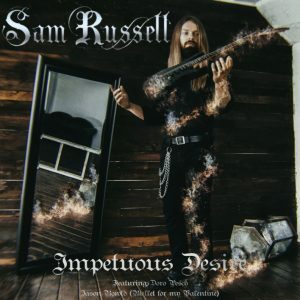 Another big drawback with taking the self-teaching route as a beginner guitar player, is that it can be hard to get answers to your questions. There are some options for this, which we’ll look at below. In this case, Google and YouTube are your friend. You can find plenty of lessons on all sorts of topics… so start Googling and having a go at some stuff. You can also try learning from books. Amazon will have plenty of good books for beginners wanting to learn guitar. If you want some feedback on your playing, or you have questions to ask, Reddit and Facebook can be good places to go. You will be able to ask questions and get answers in there. There are also Facebook Groups that you can join. Facebook groups can have great communities of knowledgeable people willing to help you out. Some offer courses, which can be useful as a structured approach to learning. GuitarLessons.com has a free beginners guitar course here. I’ve never tried any of their premium lessons, so I can’t comment on those. JustinGuitar also has a bunch of free lessons you can check out. As for the paid websites, I’ve never used them, so I don’t know how effective they are. I’ll do a review of them at some point in the near future! I view this as the best of Option 1 and 2. 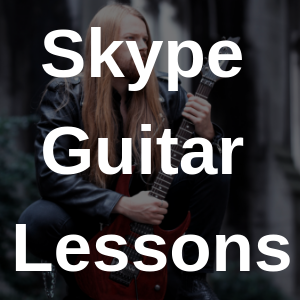 A third option for beginners wanting to learn guitar, is to take Skype lessons with a teacher. This has some benefits and disadvantages. The disadvantages, are that they are not there in person. However, if they are an experienced teacher, they will know what to look for, and the causes of problems. If they are not an experienced teacher, they will be able to tell you that you are playing something wrong, but they will not be able to tell you why it is wrong – which is a critical task teachers have to accomplish. The benefits for learning this way are many. When you take lessons by Skype, geography is no longer a limitation. You are no longer restricted to taking guitar lessons near you. You can learn from any teacher in the world. This is a HUGE advantage to you. Don’t waste time travelling, take lessons in the comfort of your own home. After a long day at work, it can be tiring to then go out to your guitar lesson. When you learn guitar by Skype, there is no travelling, you can come home, make a cup of tea, load up Skype and learn guitar. Nice and easy! This is a pretty unique feature of taking lessons by Skype. If you want, you (or your teacher) can record the class. Then, you can review the lesson at a later date, should you want to. This is a great way to compensate for ‘forgetting’ anything you are told in lessons, and to answer your own questions when you get stuck practising later in the week. One of the big problems with online courses is that they will have a lot of what you want… but not everything. When you take beginner guitar lessons on Skype, you get a teacher helping you with what you specifically want to learn. They can also help you with any roadblocks you run into and any questions you may have – you get a “goto” person for your guitar questions – no more endless searching on Google! As a beginner guitar player, it’s important to practice correctly. Practising guitar correctly allows you make consistent progress and importantly, avoid bad habits. As a beginner, especially if you are self taught, it is very easy to pick up bad habits. In fact, it’s almost unavoidable, you don’t know what you don’t know. When you take beginner Skype guitar lessons, you get a teacher helping you, making sure you are practising correctly, and correcting any bad habits before they become problematic. Having a good teacher makes it much, much easier to consistently make progress, to reach and surpass your goals. A good teacher can continuously tailor your guitar lessons to help you overcome your challenges, push you further than you would by yourself. Regular lessons help ensure a commitment to practice and continuous development. 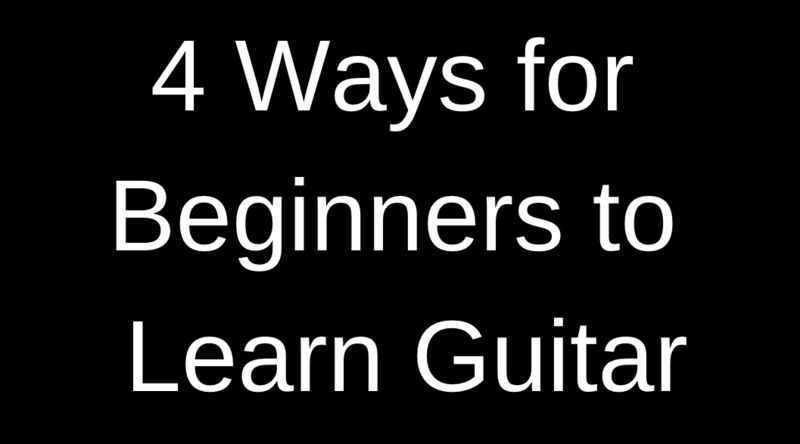 We looked at 4 different ways that beginners like yourself, can get started learning guitar. If you want the cheapest possible solution, then being a self taught player want watching guitar lessons on YouTube is probably the best option. If you want to make consistent progress with personalised support along the way, then Skype guitar lessons are probably best. Anyone wanting to use guitar lessons as more of a social club, will probably want to find a local teacher, although, some Skype teachers (such as myself) also incorporate a community into lessons. Are You a Beginner Wanting to Learn Guitar? If you are a beginner and wanting personalised support and guidance learning guitar, then contact me here for a free 15 minute Skype Lesson. We’ll talk about what you want to achieve and you will learn your first song! Contact me today.